Kicking off our annual baseball trip this season will be the 50th Midwest League All-Star Game in Comstock Park, MI in less than two weeks. This will be the first All-Star game of any kind that we have attended, and it will possibly be the highlight game of the trip. The gates to Fifth Third Ballpark will be opening at 4:00 p.m., and we’ll be able to see both teams take batting practice and be able to take part in an on-field autograph session. 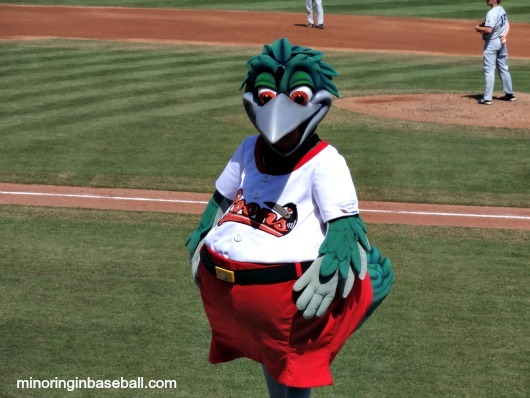 Also in attendance, joining the Whitecap’s own Crash the River Rascal, will be Big Lug (Lansing), Lou E. Loon (Great Lakes), Fang (Wisconsin), and Johnny (Fort Wayne). There will also being jugglers, stilt walkers, and face painters on the concourse before the game. Sounds like a great place to be a kid, and it’s almost guaranteed we’ll be seeing some great baseball. The Midwest League has announced the rosters for the event, also. 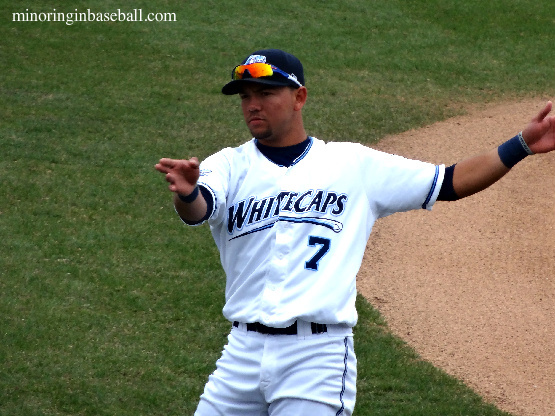 The West Michigan Whitecaps lead the way with five (or six?) players selected. Infielder Javier Betancourt (.272, 68 hits) and outfielder Wynton Bernard (.298, 14 doubles) were picked as the position players representing the ‘Caps. On the mound, pitchers Buck Farmer (5-4, 2.81 ERA), Austin Kubitza (5-0, 2.02 ERA), and Joe Mantiply (4-1, 2.00) will represent West Michigan. Jonathan Crawford (2-1, 2.27 ERA) is listed on the ‘Cap website, but has yet to be added to the official roster. That’s a very good group for the home-town fans to root for. 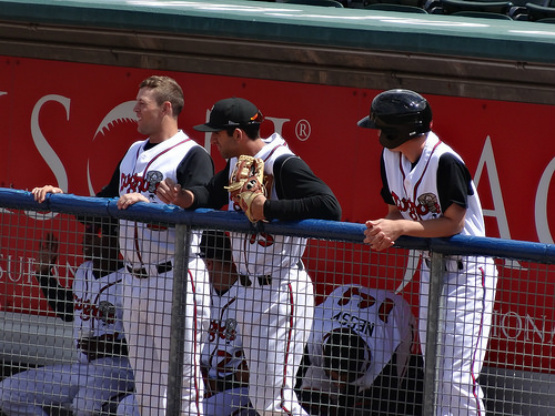 The Lansing Lugnuts will be sending four players north on I-96. Starting for the Eastern Division will be first baseman Matt Dean (.297, 3 triples, 2 home runs) and third baseman Mitch Nay (.267, 31 RBI’s). Outfielder Derrick Loveless (.287) will come off the bench, as will pitcher Griffin Murphy (2-2, 1.73). Not a bad group to represent the Lugnuts this year. Three members of the Great Lakes Loons will also be all-star bound. Starting for the Eastern Division will catcher Kyle Farmer (.308, 15 2B, 33 RBI’s) and outfielder Joey Curletta (.314, 72 hits, 95 total bases). On the hill will Mark Pope, with a 1-0 record and miniscule 0.41 ERA. What the Loons lack in quantity, that definitely make up for in quality. All three players are having great seasons in the Midwest League this year! You can see the full Eastern Division roster HERE, and the Western Division roster HERE.